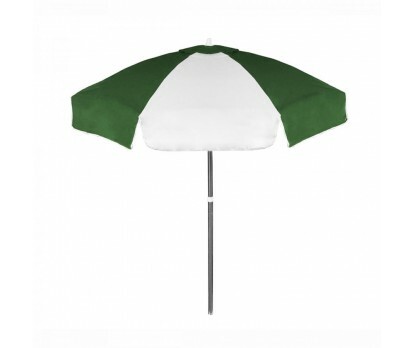 Personalized hunter & white 6.5 ft vinyl patio/cafe umbrellas are gaining immense popularity amongst sports marketers, green businesses and restaurateurs due to its convincing color profile and sheltering features. Equipped with wind vents, hunter & white vinyl canopy and 2 piece pole & tilt features – this umbrella serves as a perfect eye level billboard. 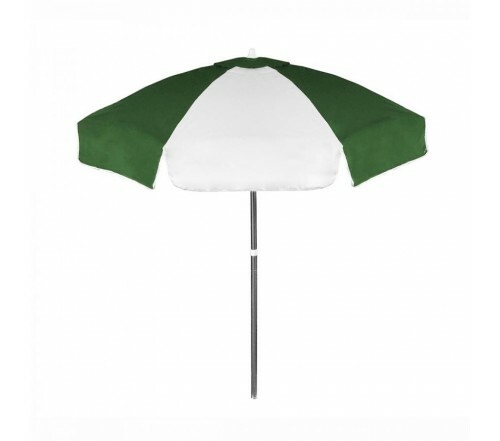 Custom hunter & white 6.5 ft vinyl patio/café umbrellas can be used for outdoor recreations around beaches or homes. Imprint area - 20" W x 20" H - Panel and 27" W x 7" H – Valence.